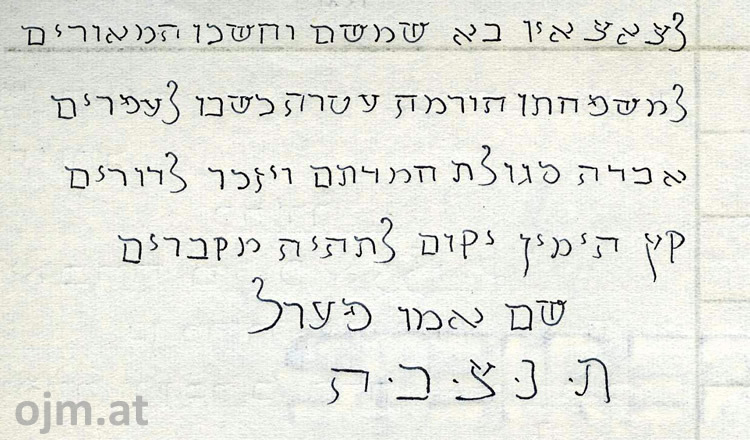 According to Hebrew inscription (line 4) is Abraham Pollak's son "d (it respectable) H (err) Süßkind" Ch"rr Susskind. 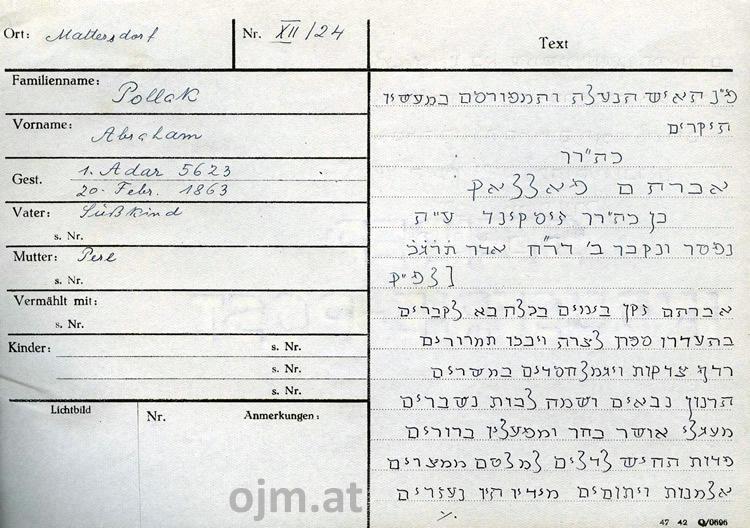 At the younger Jewish cemetery in Eisenstadt we find a Süßkind Pollak, who on 17 Cheshvan 5640 (Monday, 03 November 1879) has died. This is described in the grave inscription as "old and respected, revered and feared God." According to the inscription, he was also a board and head of the community. 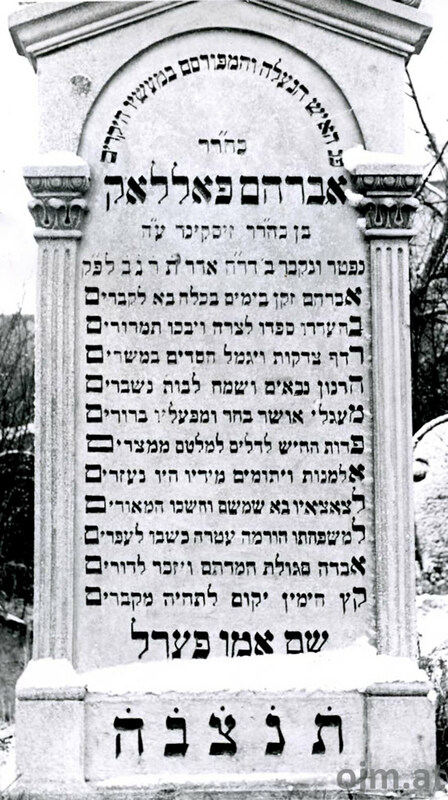 The death and burial date is specified in the Hebrew inscription (line 5) with "dead and buried on day 2 R (osch) Ch (odesch) Adar" Died and was buried in "Maple Dr"hThis is the first Adar. Oehler reads incorrectly as year of "623", ie Trgb instead of "652" Trnb. As acrostic find out from line 6 - 10 his first name "Abraham" AbrahamAnd from line 11 to 15 of his last name "Pollak" Pollack, Is also found as the first word in line 6 and his first name is Abraham. Note the very similar grave stones of the married couple! I don't think this ever been done before for any other destroyed Jewish cemetery. I think we have to verify our hypothesis, means we have to collect as many examples as possible. Than we'll see if the similarity of the style of gravestones is a reliable parameter. 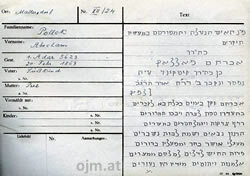 Abraham's father Alexander (Ziskind) Pollak died in Mattersdorf on 22 Apr 1867. Abraham's mother was Peppi (Perl) the daughter of Gedalyah Loeb Lackenbach and Tova.